In the first years of life, as children observe, imitate, and interact with people and their environment, the brain is structuring a foundation for vocabulary, values, cognitive processes, and social skills. Educators, you can help influence that development by teaching the skills and dispositions of intelligent, creative, effective decision makers and problem solvers. 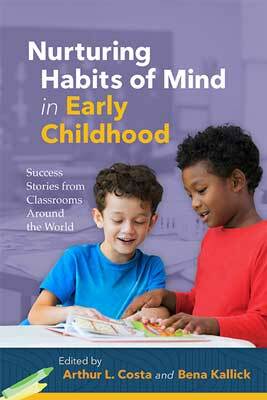 The practical examples in this book show how anybody who works with young children can introduce the Habits of Mind in entertaining and concrete ways that are developmentally appropriate. By designing learning experiences that reflect the situations and challenges children face in their lives, educators can help our youngest citizens begin to develop the habits of mind that feed a lifetime of learning. Arthur L. Costa is emeritus professor of education at California State University, Sacramento. He is cofounder of the Institute for Habits of Mind and of the Center for Cognitive Coaching. Bena Kallick is a private consultant providing services to school districts, state departments of education, professional organizations, and public agencies throughout the United States and around the world.